There is a need to explore the problem of predicting the impact that fracking will have on ground water. See chapter: "Philosophical Issues in Model Assessment" (N. Oreskes & K. Belitz). The authors explore how hydrologists judge the relative strengths of different models and test models to use in predicting long-term ecological disaster. Model Validation is a fundamental issue in modern hydrological science where increased demands for prediction and process understanding has been driven by advances in numerical modelling and environmental legislation. 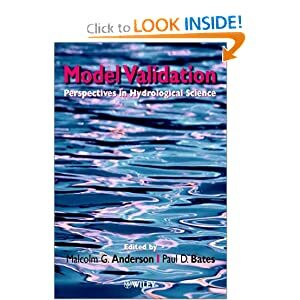 Model Validation: Perspectives in Hydrological Science is the first book to deal with this subject in hydrology and environmental science, as well as in other fields. Model Validation brings together philosophers, modellers and legal experts to comment on model validation issues and gives an evaluation of how we interpret scientific evidence drived from numerical models. It shows how much issues underpin research across the discipline of hydrological science, and also in legal and philosophical frameworks, by addressing major questions concerning acceptable levels of proof in the area.